On October 30th. and 31st. 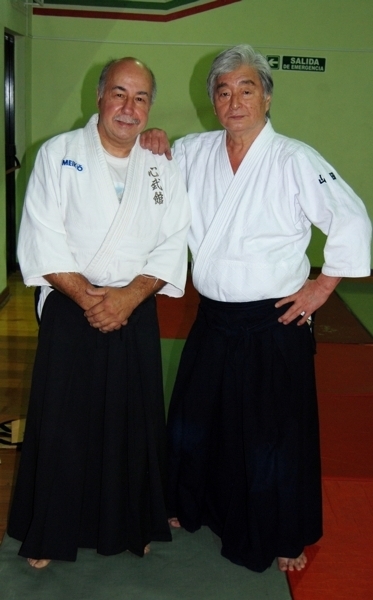 and November 1st., 2009, was held in Buenos Aires the traditional annual seminar, performed by Yoshimitsu Yamada Sensei, 8º Dan, disciple of the founder, master Morihei Ueshiba, O Sensei. This year were present always practitioner from different countries, members of Latin American Aikido Federation, among them Brazil, Peru, Uruguay, Venezuela, and Ecuador. We share and enjoy a great practice in a climate of real camaraderie. Shimbukan Argentina, also member of FLA, was present as usual in this important event. We want to express our thanks to Yamada Sensei, to the visitors and to the organizers.